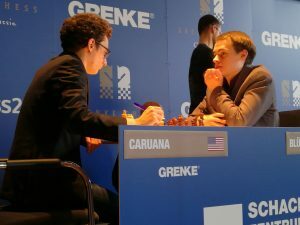 From 31.March until 09.April there is another Grenke Chess Classic here in Karlsruhe (the city where i live). I took the chance to enter on Round 2 and 3. 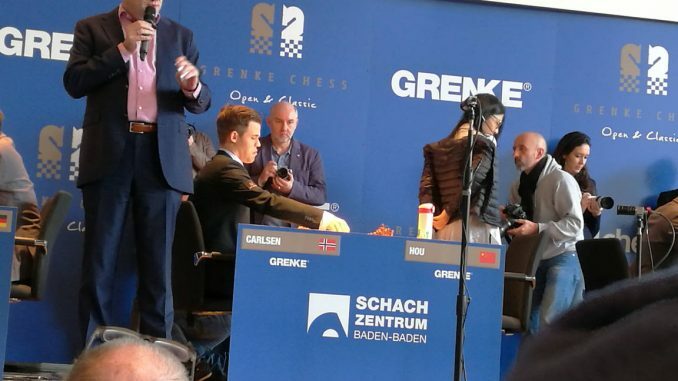 Its really great that so many high level GMs are playing in my city and Baden-Baden. 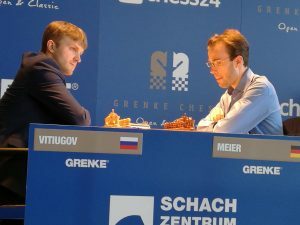 Details you can also find on their Grenke Chess Classic webpage. 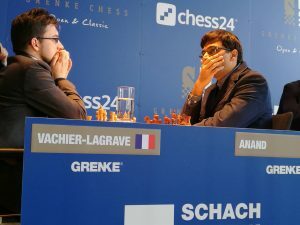 I had a short talk with Georg Maier after his game and i asked him if he remembers Shivkumar Shivaji and to my supprise he did. Really great. Despite this Classics Tournament at the same time there was also running an Open side by side. 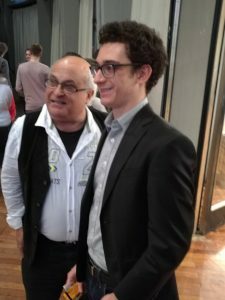 Some young players from my chess club also took part in various groups but the most important news from this is that Vincent Keymer a 13 years young german won this tournament against lots of over 2500 ELO GMs taking his first GM norm. Well done Vincent! 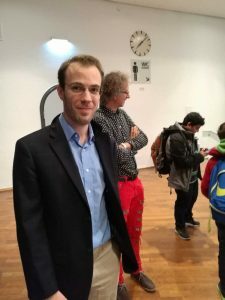 A few days later i had a talk with DGT and Lucas told me, that Artur Jussupow is visiting the DGT head quarter in Enschede. Lateron i found out that Jussupow is the trainer of Vincent and during his visit he said that he likes the DGTPi. Have i said that these guys using DGT boards on the tournament?!? Is there any connection with DGTPI & e-Boards and being a good player? 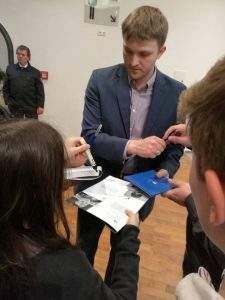 Another strange connection: Mr Jussupow is member of Solingen chess club and this year they host the “german championship of team blitz” on 26.May and my chess club is taking part – see here. For the connections im abit joking, forgive me. 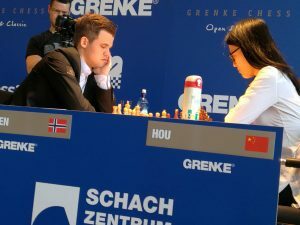 Vincent fired Jussupow as trainer long time before the Grenke Open. He was just a short time a trainer of Vincent. 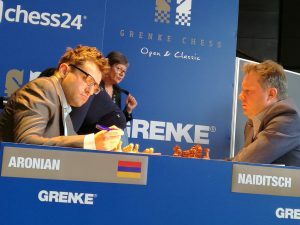 I was was for two dayes at the Grenke ChessClassic in Baden-Baden. 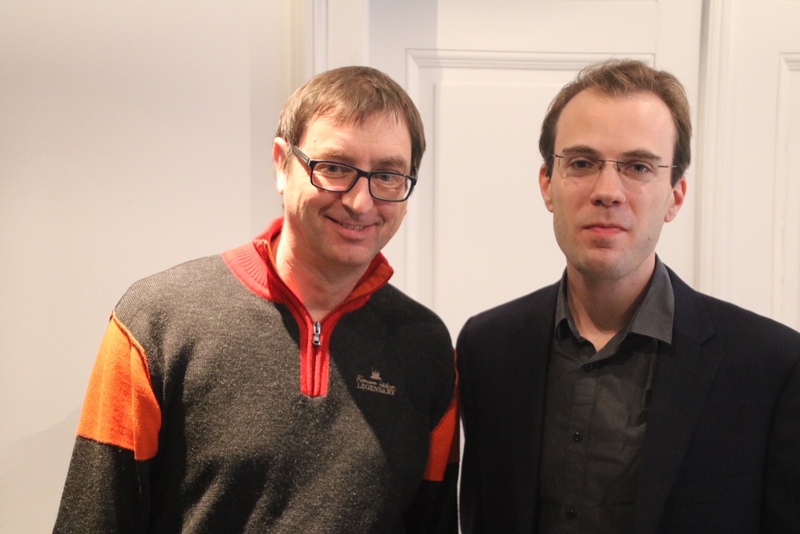 There I could make a picture with Georg Meier an me. 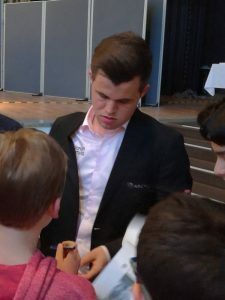 It was minutes after his draw against Magnus Carlsen. thats great. If y want send me this pict and i post it here. Could you tell how to sent you the picture? 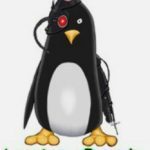 Admin: done! I live in Ludwigshafen. 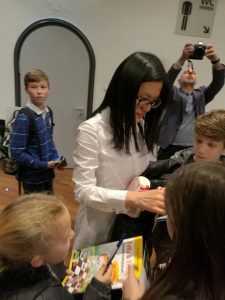 This is now the third time I‘m at ChessClassic. My wife and me combine this with an overnight stay.